Welcome to the Apopka Area Chamber of Commerce! 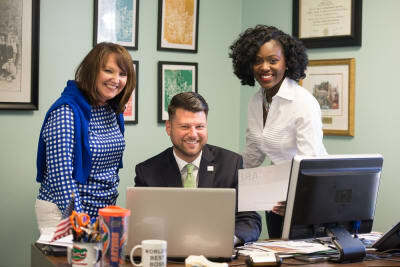 The mission of the Apopka Area Chamber of Commerce is to serve the economic development, prosperity, and sustainability of our community and region through connectivity, leadership, education and support. Our vision is to build a prosperous and sustainable community through leadership and service. We are the voice of the Apopka business community. We provide leadership to influence the economic and governmental issues impacting our community, to foster growth, prosperity and sustainability for the business community of the greater Apopka area. We connect business and people. We provide a network of resources, opportunities and ideas to promote business success through partnerships, collaboration and credibility with our members and the greater Apopka community. We serve the businesses and people of our community. We act with integrity to bring a diversity of perspectives to promote and grow the visibility of our community, adapt to opportunities and provide trusted resources and support for our members. The Apopka Area Chamber of Commerce has over four hundred and seventy members and continues to grow. A board representing businesses of all sizes, from individual proprietors to Fortune 500 companies. A staff focused on creating great events, developing membership involvement, building unique programs and focused on ROI. A new structure of member benefits that are based on investment and goals, not just the size of your business. A strong connection to the local and state government entities, such as the Florida Legislature, the City of Apopka, and Orange County.